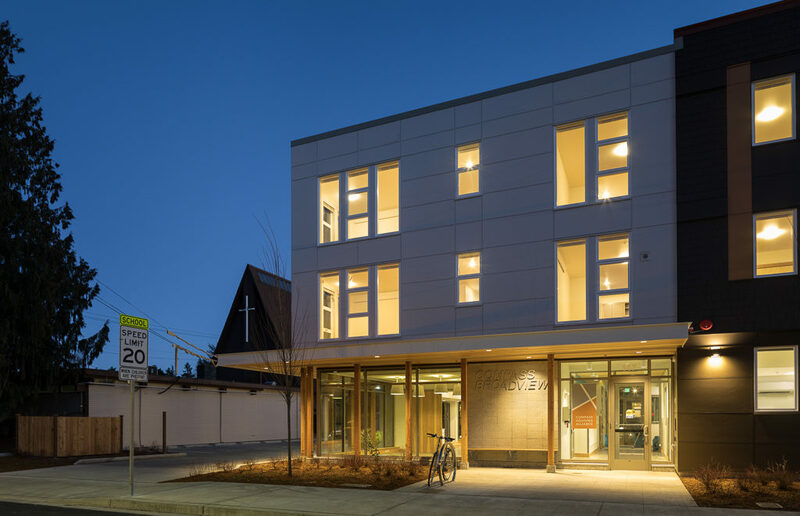 Compass Broadview | WALSH Construction Co.
Compass Broadview is a three-story multifamily building with 58 units of permanent, affordable housing in the Broadview neighborhood of Seattle. The project’s goal – to reach local residents with varying needs – will support a multigenerational community of families and individuals spanning a wide range of backgrounds. Half of the units will be available to those earning less than 30% of the median income in King County, with the remaining rented to households earning up to 50% of the area median income. 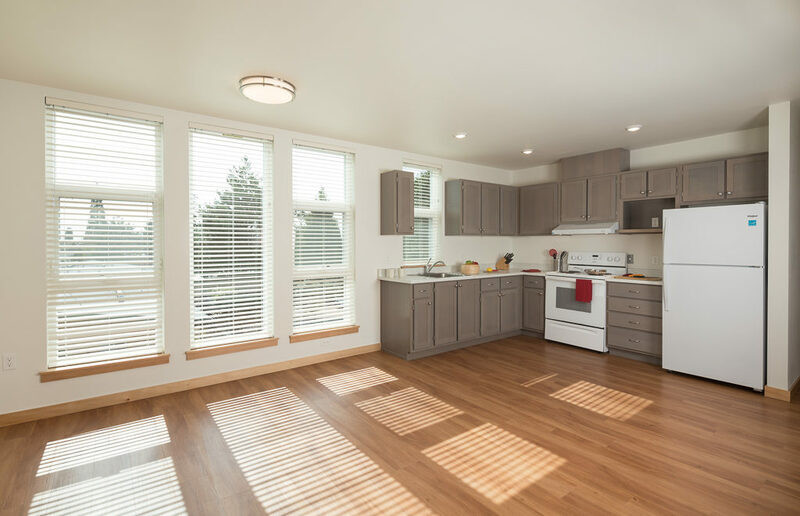 Eleven studio and one-bedroom units are reserved for individuals with disabilities. More than half of the units have two to three bedrooms ideal for parents with small children. Several of these apartments will help families exiting homelessness who have children attending neighborhood schools. The building is 60,435 square feet and includes a garage below grade with space for 24 vehicles. Scope includes partial demolition of the existing church building on site. The earthwork, concrete, misc. metals and finish carpentry are self-performed by RDF. 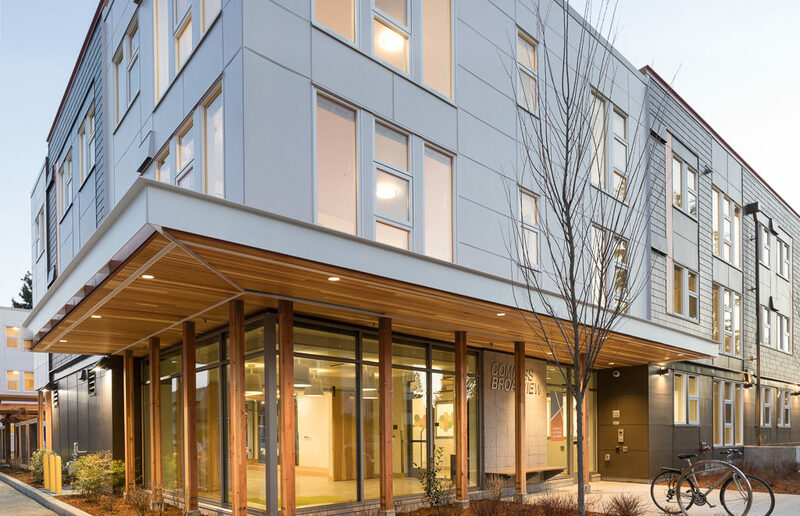 Built sustainably to the Evergreen Sustainable Development Standards for Washington State. Air-tightness requirements for the three-story building fell under the 2015 Seattle Residential Energy Code, which has a threshold limit for air leakage of 5 air changes per hour (5ACH). The test results were outstanding, at 0.71 ACH, (or 0.13 cfm/SF) which is one seventh of the code maximum requirement.